A.H., a Department of Sanitation employee living in Staten Island, suffered back injuries following a fall at a Department of Sanitation garage. A.H. was coming back from fueling his truck, when he was tripped up by a section of the garage which had a defective floor. A 54 year old French-speaking man, owner of three popular Manhattan restaurants was struck by a yellow cab while on his motorcycle. D.P underwent a surgery for his fractured tibia and fibula and was hospitalized for three days. His primary concern was that he might no longer be able to manage his highly rated French bistros. 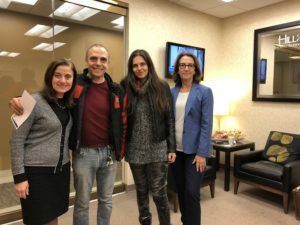 Overwhelmed with the pain of the injuries and his financial concerns, he sought advice from his immigration attorney who promptly advised him to consult with Hill & Moin, LLP. 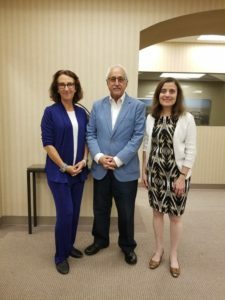 From day one he recognized the depth of experiences that Cheryl Eisberg Moin and Melisande Hill acquired in their almost 4 decades of combined personal injury litigation. A 43 year old sanitation worker fell in a pothole on a sanitation parking lot. After the fall his co-worker drove him to the hospital. Doctors at the hospital told him that he had right knee and right shoulder injuries. J.S was afraid that he could no longer be able to work to support his young daughters, so he started looking for the best attorneys to help him pursue a personal injury claim, since as an employee with Department of Sanitation was not covered by Worker’s Compensation..
L. Foreman, a Brooklyn mother of three, was coming back from dropping her children off at school. She has been a resident of this neighborhood for over 37 years, having lived in the same apartment since childhood. As L. Foreman was crossing a busy intersection, she was struck in the crosswalk by a van attempting to make a left turn. The next thing L. Foreman remembers is waking up in the hospital. Cultural Ambassador Gets Full-Policy Settlement After Being Struck by a Vehicle. Coming from lunch at a café, L.G a 76 year old cultural ambassador for an educational association was knocked down by a car. An ambulance arrived on the scene and put a soft cast to L.G’s leg. Being traumatized after what happened, L.G decided to start looking for the best attorney. He spoke to his cousin, who is an accomplished attorney himself and he recommended Hill & Moin, LLP as the highest rated personal injury law firm in New York. Posted in Our Clients Speak | Comments Off on Cultural Ambassador Gets Full-Policy Settlement After Being Struck by a Vehicle.